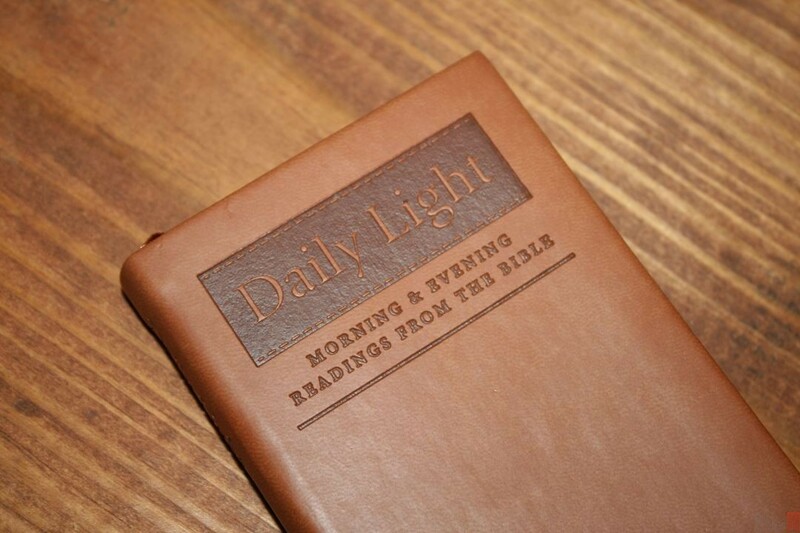 Daily Light is a classic devotional that’s composed entirely of Scriptures from the KJV into morning and evening readings, with each reading based on a theme. TBS has produced Daily Light for several years in several printing styles. Their latest edition is a slim, pocket-sized, checkbook-style design that’s easy to carry and use. In this review I’m taking a look at TBS’s latest edition, the tan in imitation leather, ISBN: 9781862284432, Product Code: DLSL. Trinitarian Bible Society provided this devotional free for review. I was not required to give a positive review – only an honest review. Daily Light was developed by Samuel Bagster and family in the 1800’s. 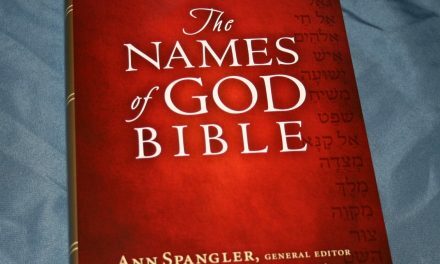 It’s considered a classic among devotionals and is highly respected because it only uses Scripture. 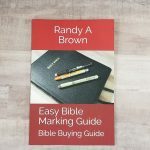 The preface gives the history of how the devotional was developed and gives tips on how to use it with your Bible. 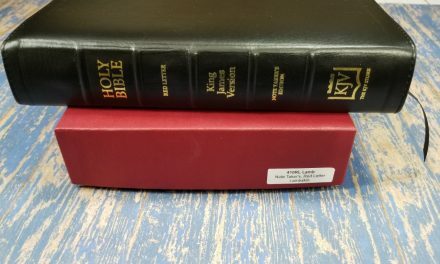 In the preface TBS honors the Bagster family for their work on this devotional and prays that the reader will search the Scriptures for more detail and read them in their entirety in context. It also includes a section on how to use Daily Light. I loved seeing this history. 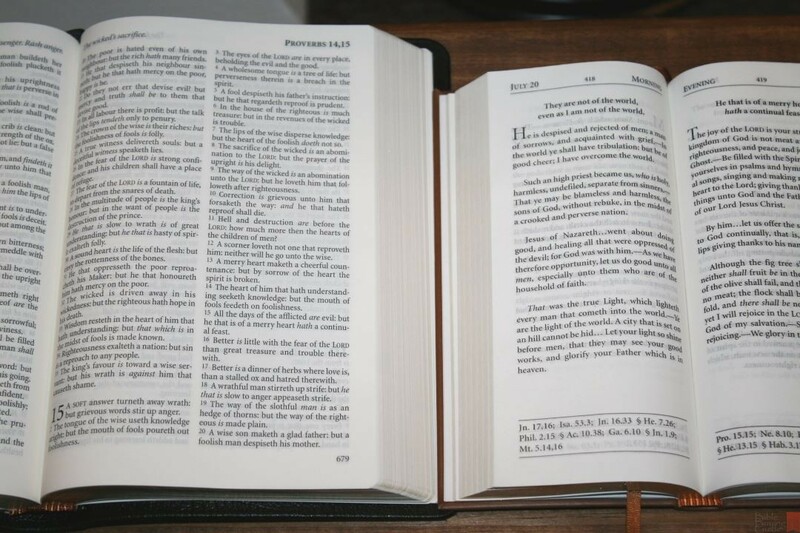 This is something I’d like to see for my favorite Bibles. The cover is tan imitation leather. It has the words Daily Light and stitches debossed into nice design that looks like leather. It also has the words MORNING & EVENING READING FROM THE BIBLE with a line and AUTHORISED (KING JAMES) VERSION debossed into the cover. The spine has Daily Light and the TBS logo. The imitation leather is soft to the touch. It has a card within the liner and feels stiff almost like a hard cover. The spine is flexible. The corners are square. It has a white paper liner that doubles as the presentation page. The text-block is sewn (like everything available from TBS). The cover lies open with no issues, but it might need to be broken in a little before it will lie open in the front or back though. It has red and yellow head/tail bands and a thin tan ribbon that matches the cover. The overall size is 6 7/8 x 3 1/2 x 3/4″. I love the size and shape. 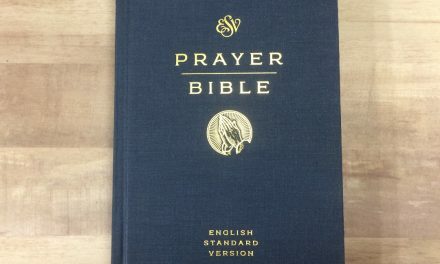 I’m fond of Bibles and materials that are easy to carry and this one fits perfectly into most pockets, Bible cases, purses (according to Lucinda), etc. The paper looks like the same or similar to the Westminster. I think it’s between 30-32 gsm. It has a slight cream tint which is my favorite color for paper. There is a touch more show-through than I like but is still highly readable. There’s no glare under direct light. It has a slightly rough texture which helps make the pages easier to turn. The corners of the pages are square to match the cover. Page edges are gold gilt, giving it an elegant look. The text is presented in paragraph format with no distractions other than a few dots and dashes (more on that later). 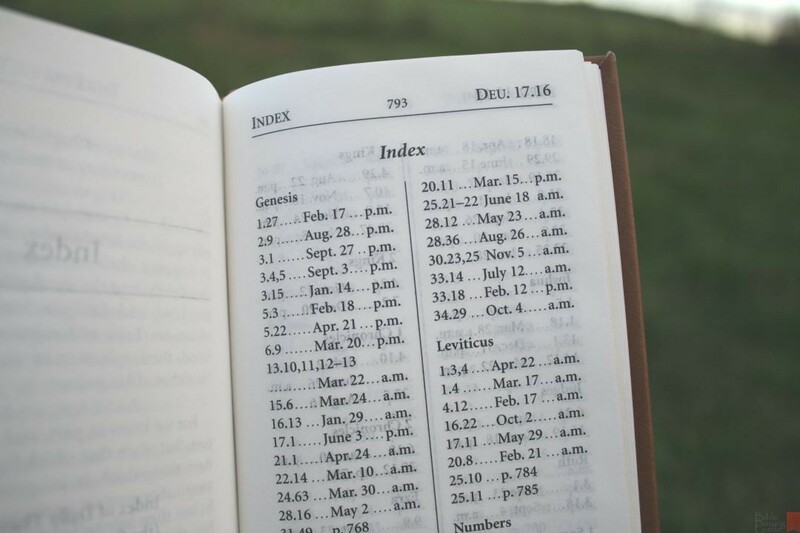 The header shows whether it’s a morning or evening reading, the page number, and the date. Print size is 9.6 with leading. It’s nice and dark, and highly readable. I love this typeface. It’s my favorite capital S of any typeface I’ve seen. It’s a joy to read. It’s the same typeface from the Windsor and Westminster, but it looks heavier weighted which makes it more readable. This is the darkness of font that I want to see in the Windsor and Westminster. The paragraphs also give a hint as to what a Windsor in paragraph could look like. That would be my dream Bible. If there was enough interest, maybe one day we can talk TBS into it. The text is line-matched, meaning the text is printed in the same physical location on both sides of the page to improve readability. It has around 8 words per line with plenty of room between the words and lines for the best readability. The text is word-for-word from the KJV and includes italics for supplied words. 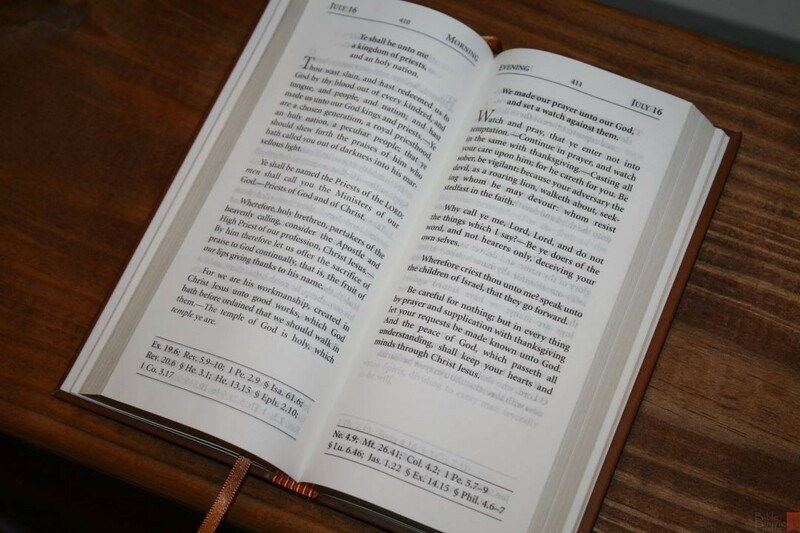 The devotionals are portions of Scripture. 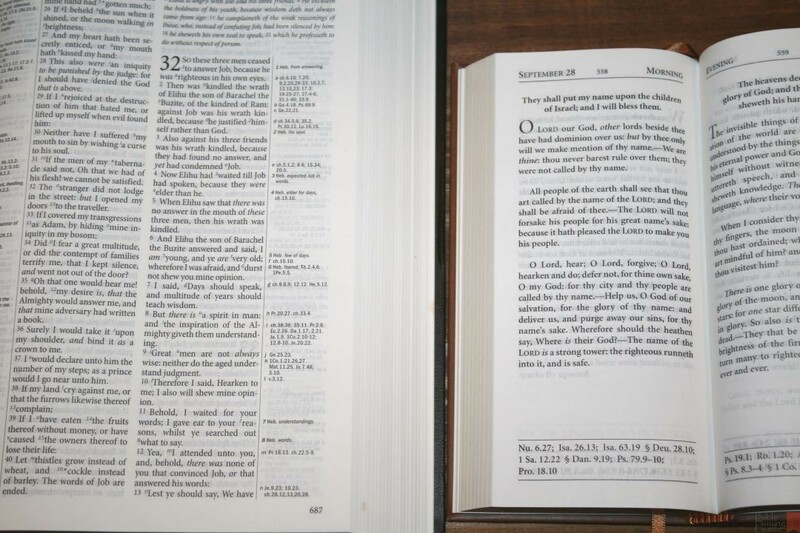 Scriptures along the same theme are combined to build a devotional. 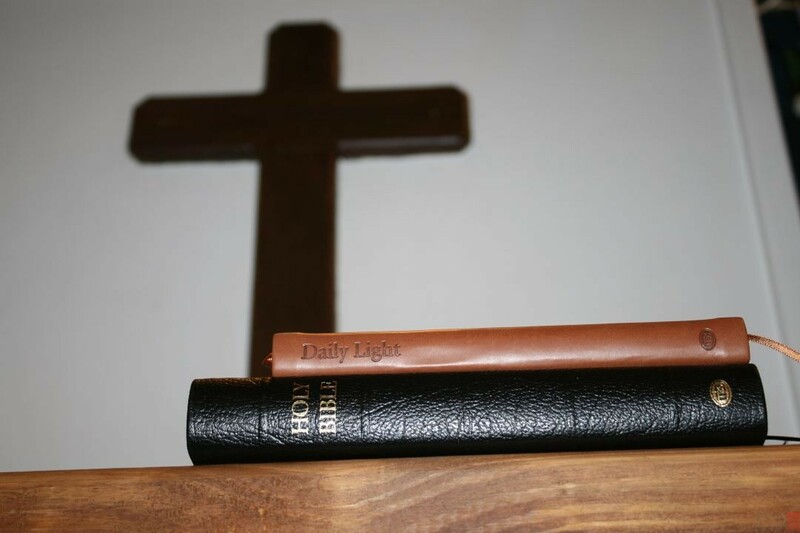 There’s nothing added to God’s Word, nothing explained or expounded on – just Scripture. They’re grouped by daily readings and include both a morning and an evening reading. The first verse is in bold and establishes the theme of that reading. This is used as the title or heading. Most are short but there are a few that take several lines and include multiple verses. 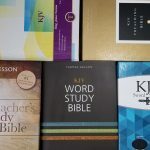 Next is the main devotional Scriptures given in paragraph format. Dashes and dots are used to show when the text changes. Dots indicate when words in a verse are skipped and dashed indicate a new verse. This helps make it clear that more than one verse is used so the reader doesn’t think that two different verses are actually one verse (which could be confusing and disrupt the context of the original verses). 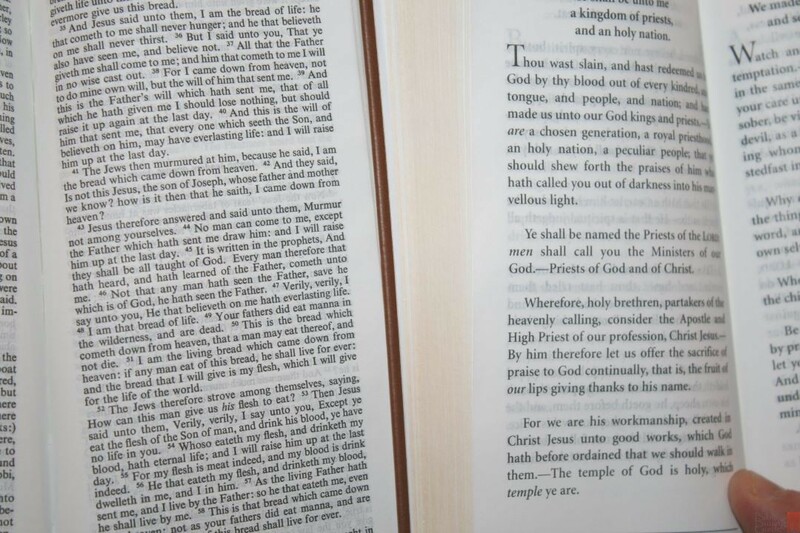 The verses follow the same thought and help build on the title verse. References are given at the bottom of the page so you can look up each verse and see it in its context. 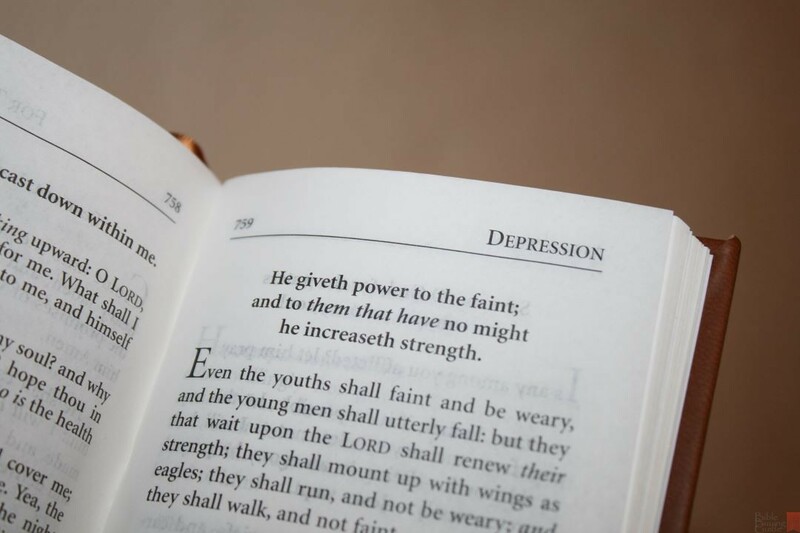 The bold reference matches the title verse. The next references refer to the verses in the paragraph and are easy to identify because of the dashes and dots in the paragraphs. Most of the time there’s more than one paragraph. The references for each paragraph are separated by a symbol to make them easy to indentify. In the back is a section of readings that are designed for specific occasions. 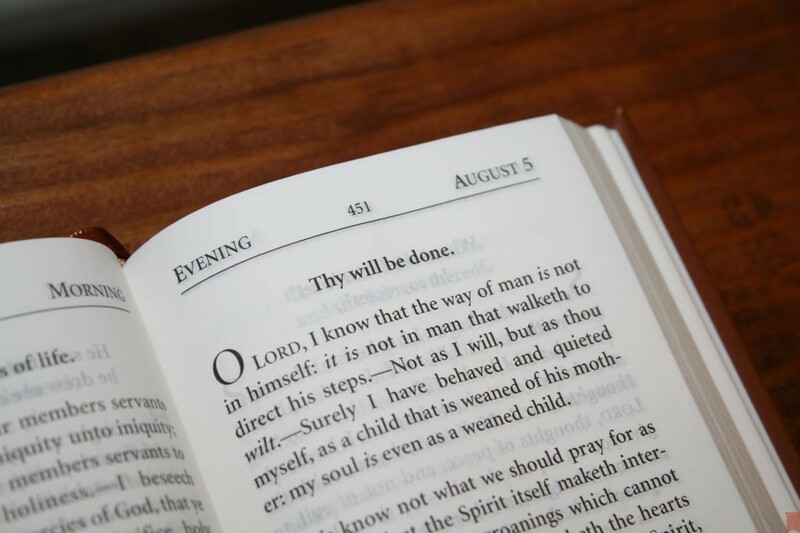 These follow the same format as the daily readings. There’s an index so you can look them up by theme. 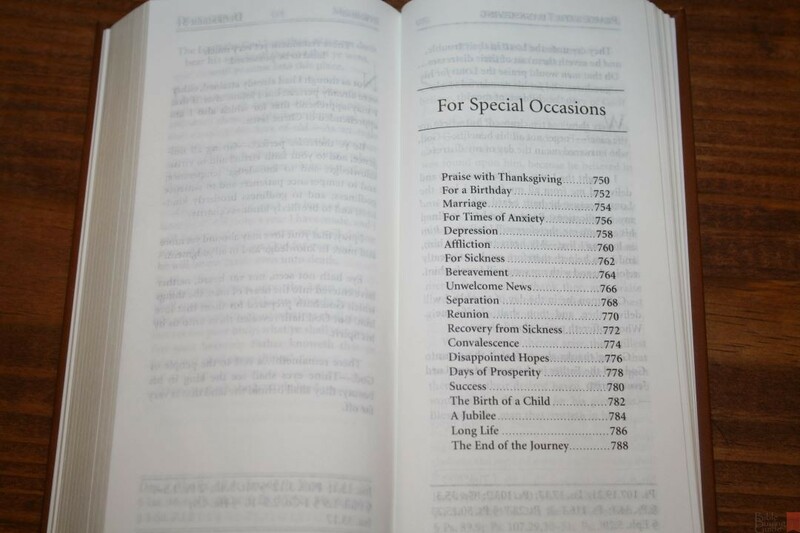 There are 20 topics which include marriage, birthdays, thanksgiving, sickness, success, and more. These are great for when you want to read on something specific. They cover a wide range of topics so there’s something here for many occasions. 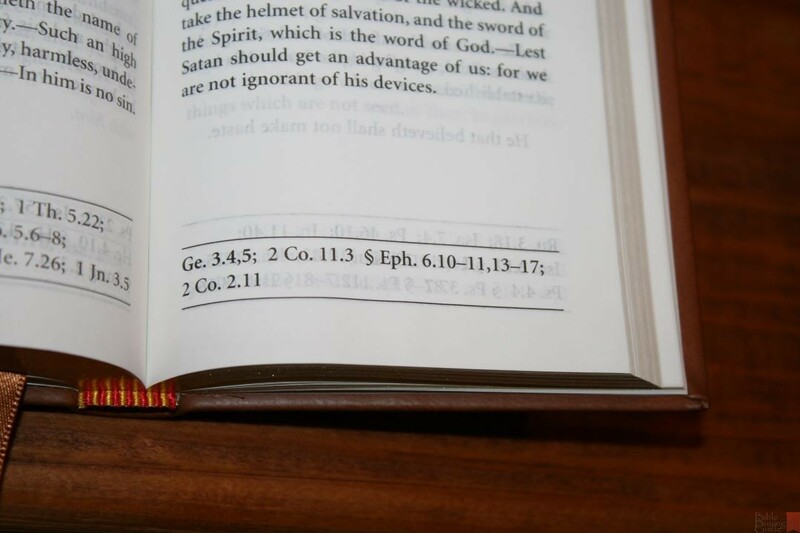 This is an index of the theme verses (the bold verses used as titles or headings). It gives you the book, reference, date, and whether it’s for morning or evening. This is a great way to not only find the verse but also the theme if you know what the theme of the verses are. 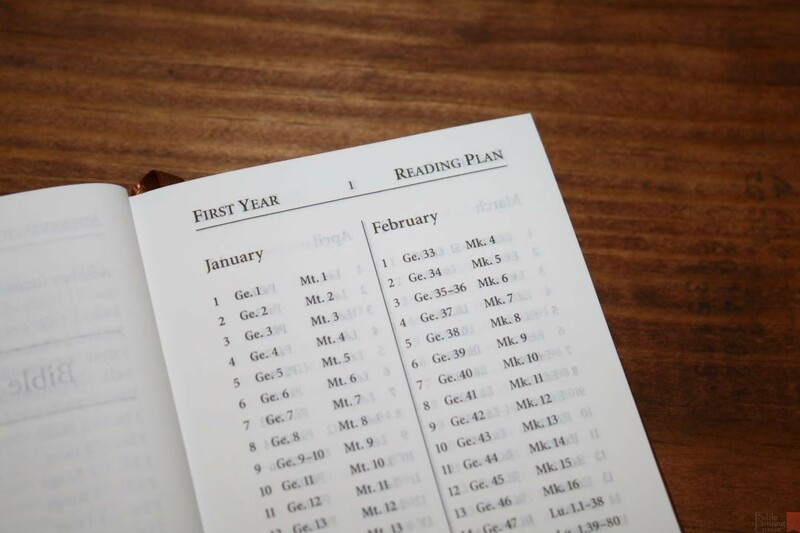 A 2-year reading plan is provided that will take you through the entire Bible once and the New Testament and Psalms twice. It gives readings from two locations. 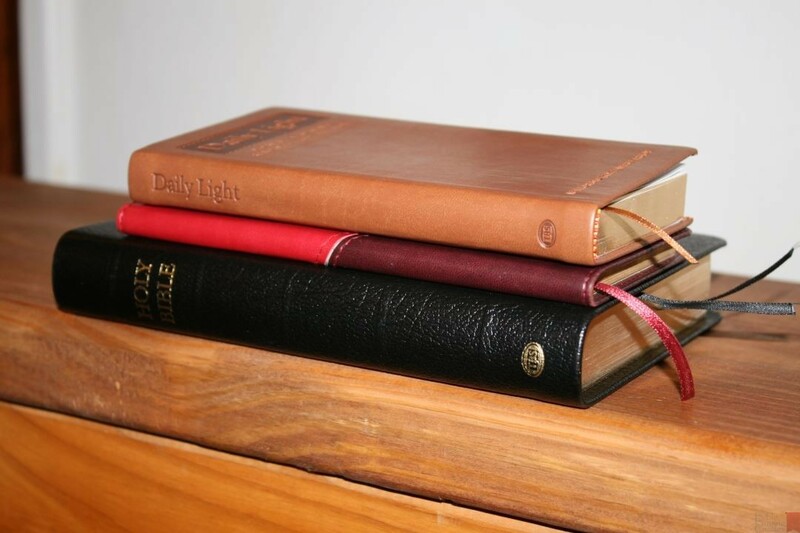 The intent of providing the daily reading plan is to encourage the reader to read the Bible along with Daily Light so they don’t just read Daily Light alone. This is the M’Cheyne reading plan. We’ve used it several times as a 1-year plan by reading four readings per day instead of two. Of all the reading plans we’ve used this is probably my favorite because it gives you readings from different locations in the Bible. 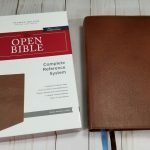 I like that it was included because you can use it with any Bible and you don’t have to rely on the Bible that you use to have a reading plan. 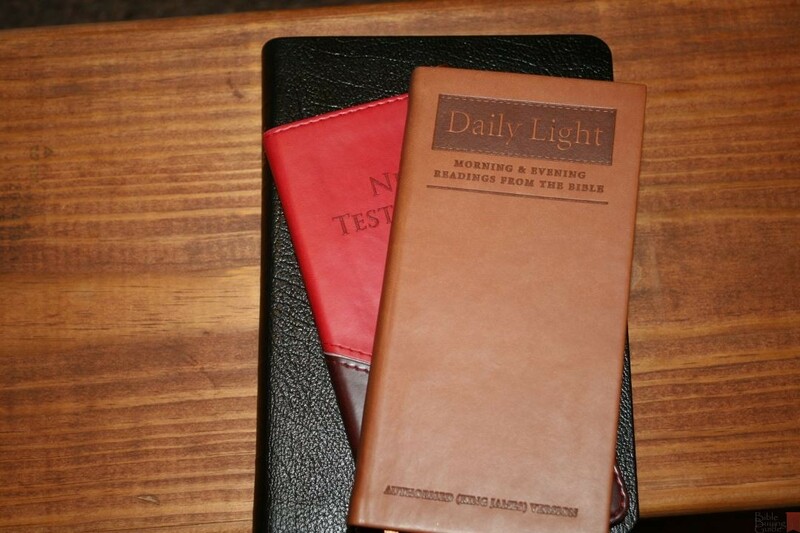 Here’s a look at Daily Light next to several Bibles from TBS to help you compare size and paper. 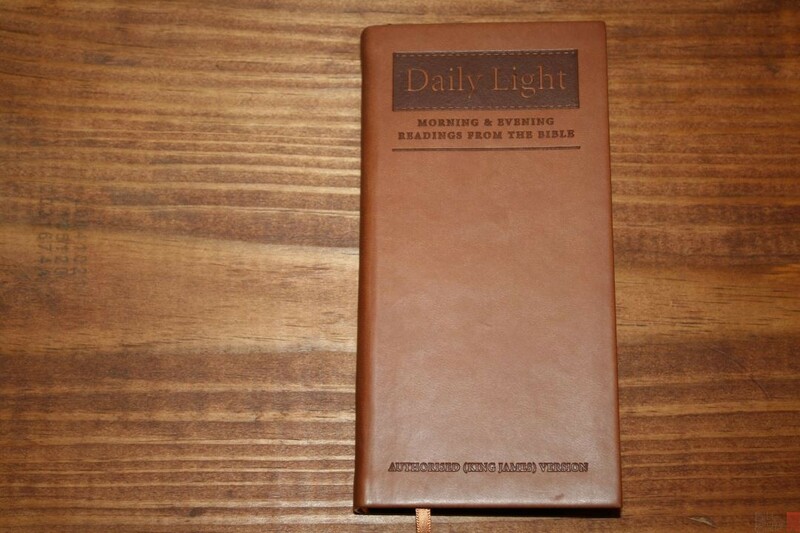 Daily Light Slimline Edition from TBS is an interesting devotional. I like that the readings are only Scripture. 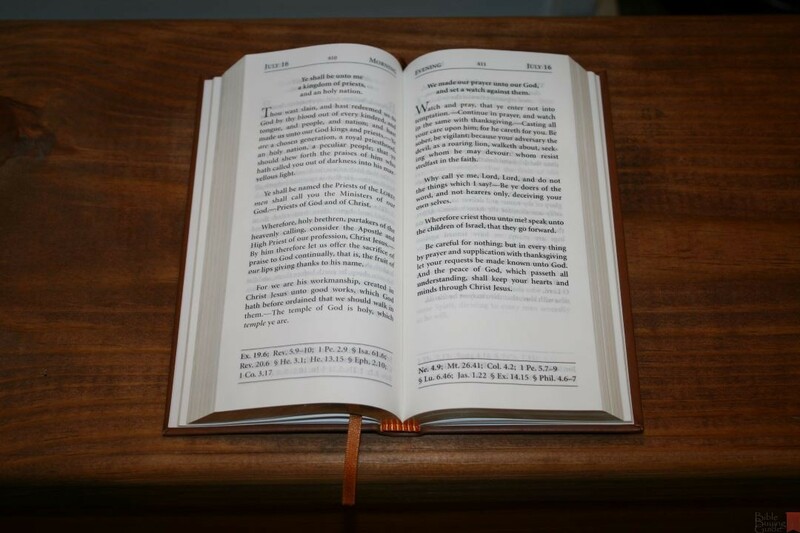 The Bible is its own best commentary and devotional. I always go to God’s Word as my first choice for reading, so having a devotional that’s just Scripture works for my reading style. 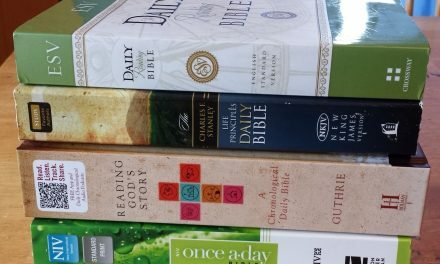 I also like that it includes devotionals on specific themes and includes a reading plan. Daily Light is actually an interesting method for group study. 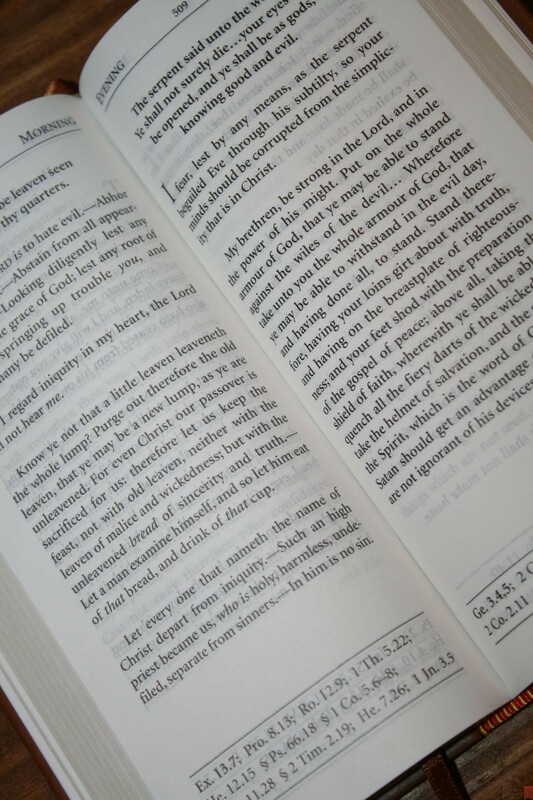 Have someone read the devotional, discuss the reading, and then have others read the verses in their context. 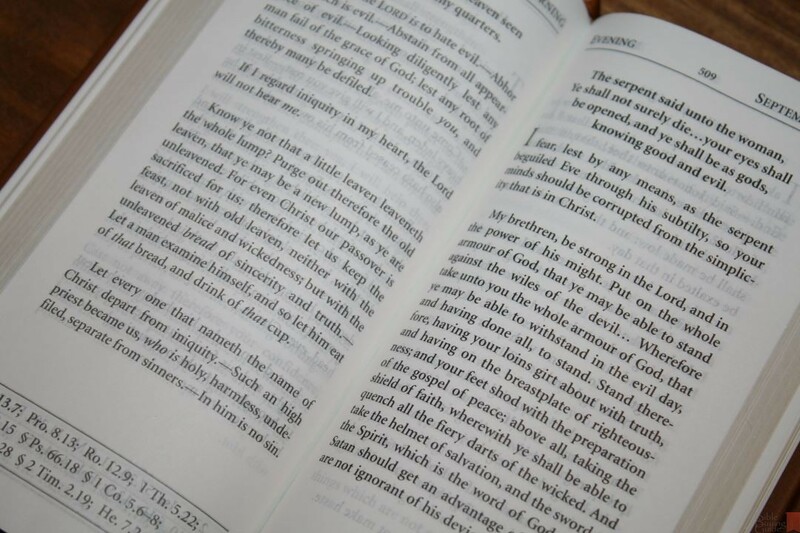 It’s great for reading on its own too, just not in place of reading the Scriptures in context. In other words I (and TBS) don’t recommend this as your only reading of Scripture, but instead use it as a devotional (as it was intended). I love this slim format. Its size and shape makes it a great travel companion. The tan imitation leather looks and feels nice. 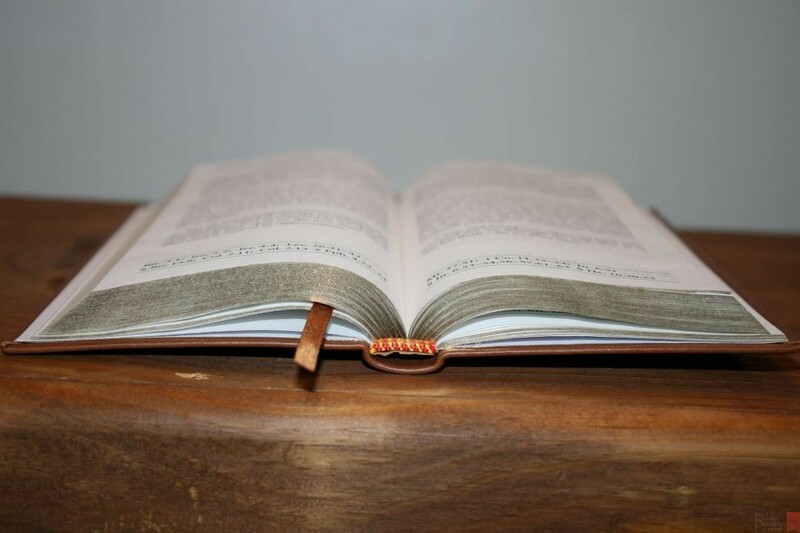 I would love to see this available in calfskin as well, especially the tan Meriva leather cover of the Reformation Reference Bible (compact Westminster). 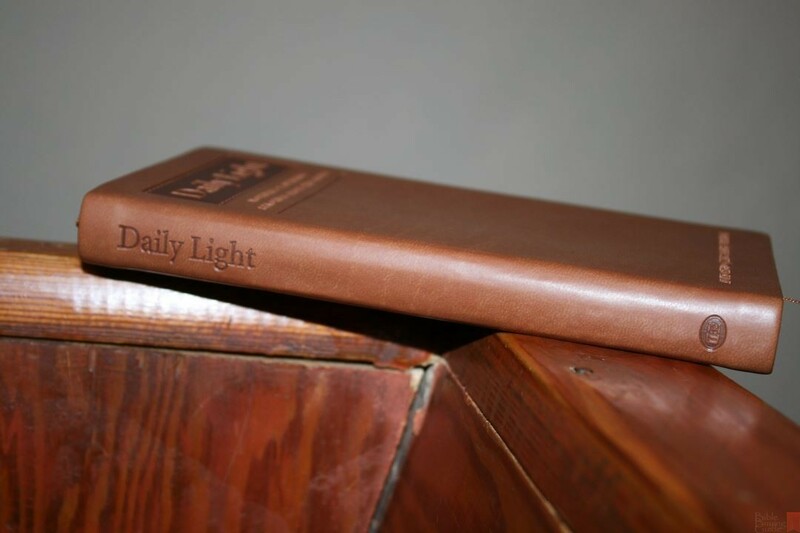 Daily Light is also available in calfskin, hardcover, and paperback editions (but this is the only one in a slim format). 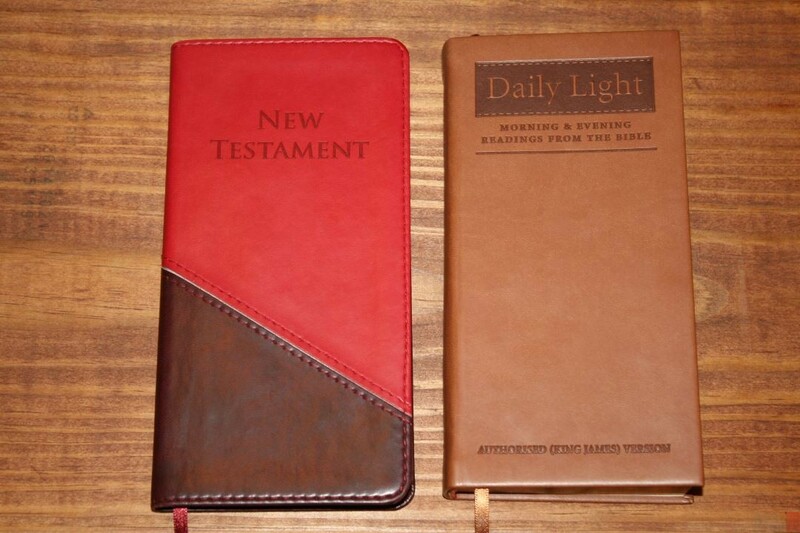 See our photos of the calfskin and paperback editions from our coverage of the 2016 International Christian Retail Show here: TBS DAILY LIGHT DEVOTIONAL. 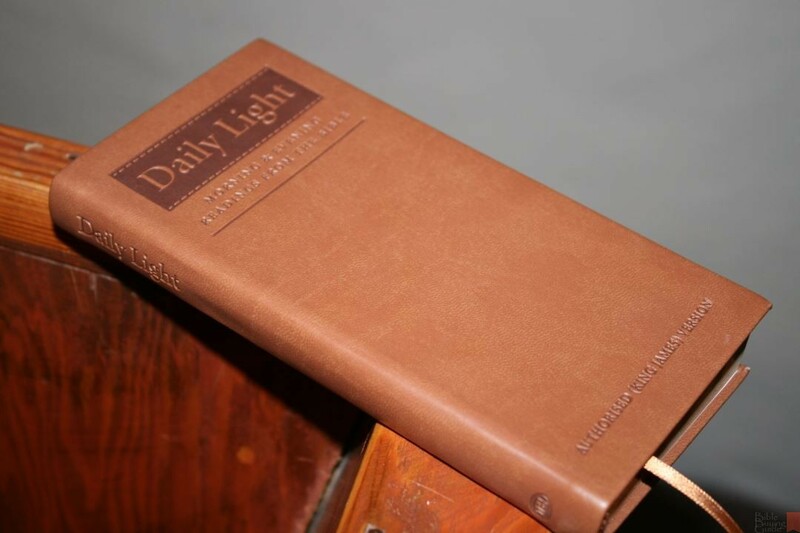 Daily Light Slimline Edition from TBS is my favorite devotional and I highly recommend it to anyone interested in a devotional that’s easy to read and carry. Have you tried Daily Light Slimline Edition from TBS? Let s know what you think about it in the comments. 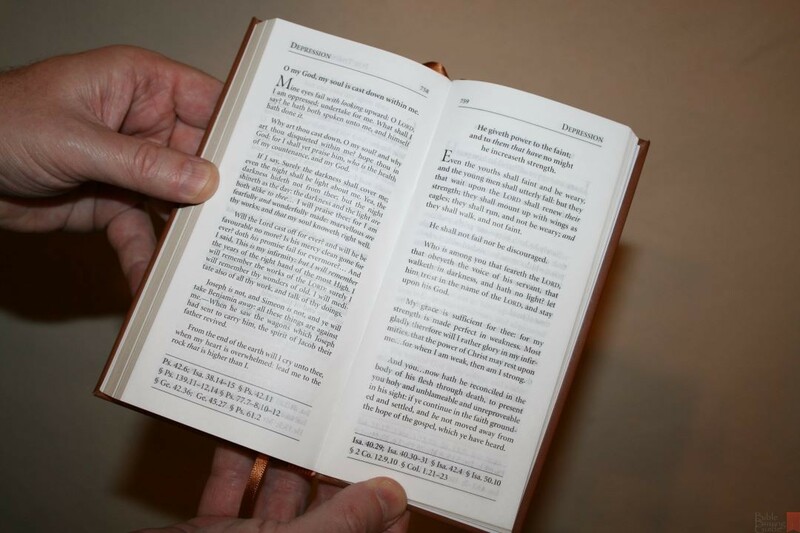 How can I g ed t a bible new testament the tiny one? ?